Without further ado, part two [catch up on the Pt. 1 & the origins of the list here]. This Part features some serious ‘it books’ of years past. WHAT IT’S ABOUT: Read my review to find out. WHY YOU SHOULD READ IT: It’s considered a requisite read by myself and my close friends at the Pulitzer Prize Committee. WHO YOU SHOULD GIVE IT TO: Your Mom or Grandma. WHAT IT’S ABOUT: A girl in a rural village in Chechnya who watches Russian soldiers kidnap her father and burn her house down. She runs into the forest in an attempt to escape their wrath, and her neighbor finds her and brings to her a semi-abandoned local hospital where they meet a reluctant nurse…a move that allegedly changes the course of both of their lives. WHY YOU SHOULD READ IT: SJP told you to. And she’s far smarter than her infamous character. WHAT IT’S ABOUT: A half-Chinese girl from a small town with a reserved personality goes missing after she starts seeing a boy in one of her classes. I read* this one too. WHY YOU SHOULD READ IT: I personally don’t think you should, because I *hated it and couldn’t even finish. But I included it to be thorough. WHO YOU SHOULD GIVE IT TO: Your enemy.Or someone who can handle drawn-out plots & seriously anti-climactic conclusions. WHAT IT’S ABOUT: The plot takes inspiration from the life of renowned anthropologist Margaret Mead. Euphoria follows a young woman named Nell Stone who has devoted her life to studying a female-dominated tribe called the Tam in New Guinea, where she lives with her husband, a man who is often jealous of his wife and her talents. When they meet Andrew Bankson, a fellow anthropologist, his connection with Nell is instantly clear and a love triangle begins to form. The story is set between the First and Second World Wars, so it carries a healthy dose of history in addition to the requisite romance. WHY YOU SHOULD READ IT: Most of my friends loved it…though a few couldn’t get past the weirdness of the love triangle. See if you can handle it. WHO YOU SHOULD GIVE IT TO: Fans of The People in the Trees. WHAT IT’S ABOUT: A young Mexican girl named Maribel Rivera gets seriously injured and her family decides its imperative to move to America so that she can receive the proper attention. She quickly becomes attached to one of her neighbors, Mayor Toro, and their relationship progresses from an innocent flirtation into a seriously star-crossed romance. WHY YOU SHOULD READ IT: Because it’s a modern and ultimately more relatable version of Shakespeare’s classic. WHAT IT’S ABOUT: I’ve read and reviewed this one! Sure, DVF is technically royalty, and she currently lives quite a charmed life, but it wasn’t always that way. Her mother was a concentration camp survivor who instilled a sense of toughness in Diane that has helped her navigate everything from cancer to bankruptcy with resilience and grace. She candidly shares all of her life’s struggles but doesn’t spare details on the more frivolous things [her many romances and high-flying parties]. WHY YOU SHOULD READ IT: Frivolities aside, the book at it’s core is a manifesto on the importance of female autonomy. WHO YOU SHOULD GIVE IT TO: Your best friend. WHAT IT’S ABOUT: I’ve actually read this one, too. I didn’t love it. Amy is hilarious and smart, but she’s also been through a lot, and the book was sadder than I expected it to be. That being said, I enjoyed quite a few parts of it, and it’s written in a way that makes it easy to skip chapters that don’t interest you. WHY YOU SHOULD READ IT: Who doesn’t want to know the secrets to Amy Poehler’s success? WHO YOU SHOULD GIVE IT TO: Your SNL-obsessed friend. WHAT IT’S ABOUT: I just bought this and cannot wait to start. The story is a memoir written by a woman who spent six months in North Korea, working at the Pyongyang University of Science and Technology, the only school in the country that wasn’t shut down for the year of 2011, teaching the students about life beyond North Korea’s borders. WHY YOU SHOULD READ IT: Because it’s scary how little we know about one of the most intriguing [in a scary way] countries on earth. WHAT IT’S ABOUT: You’ve more than likely heard of this 1953 novel about a world in which books are illegal. WHY YOU SHOULD READ IT: It’s an American classic—and we currently live in a country in which censorship is dangerously imminent, so we might as well educate ourselves on its perils. WHO YOU SHOULD GIVE IT TO: Your most badass friend…it is the OG banned book, after all. WHAT IT’S ABOUT: A coming-of-age story about a girl named June whose Uncle Finn, her closest confidante, dies tragically of AIDS, and the unlikely friendship she strikes up with a man she meets at his funeral. WHY YOU SHOULD READ IT: Because all of my friends who have read it say it’s amazing, even though I have tried to borrow it multiple times to no avail [ahem]. WHO YOU SHOULD GIVE IT TO: Fans of Where’d You Go, Bernadette? 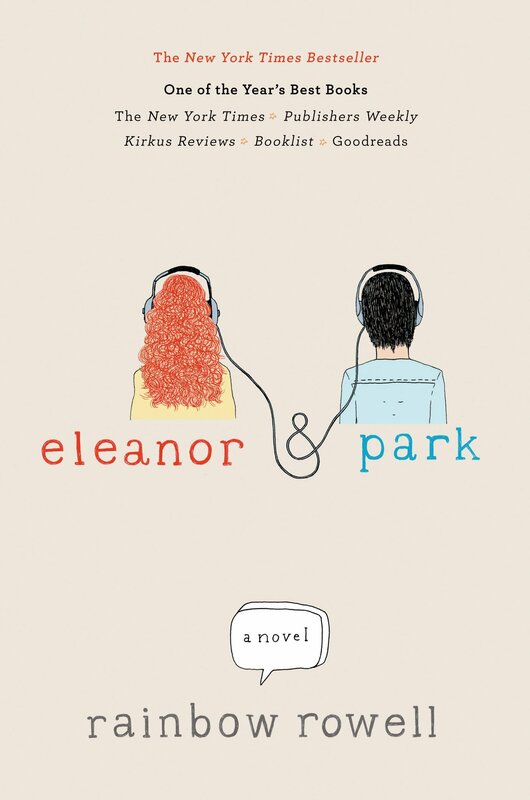 WHAT IT’S ABOUT: A YA ‘first love’ story about two sixteen year olds. Doesn’t sound like much, but readers have almost unequivocally given it five stars. WHY YOU SHOULD READ IT: Because you can finish it in a day and feel good about yourself. WHO YOU SHOULD GIVE IT TO: Whoever you babysit for. WHAT IT’S ABOUT: The true story of Kim Philby, head of the MI6 [the UK version of the CIA] during the Cold War…who just so happened to be working with Russia on the side. Philby’s best friend, Nicholas Elliott, had no idea that every aspect of their correspondence was being relayed to the Soviet Union…until Philby gets discovered. WHY YOU SHOULD READ IT: You’ve seen every James Bond movie and 24 is over. WHO YOU SHOULD GIVE IT TO: Your dad. At least, I’m giving it to mine for Christmas. WHAT IT’S ABOUT: I read and reviewed this one. WHY YOU SHOULD READ IT: Because there’s nothing more inspiring than learning about how hard some of the media’s most powerful women had to hustle to get where they are today. Flimsy Little Plastic Miracles, Ron Currie Jr.WHAT IT’S ABOUT: A “genre-bending” [the author and main character share both a name and the same background, but the story itself is untrue] novel about a man who relocates to a tropical island to write a book about the object of his affections…and accidentally fakes his own death—which skyrockets him to fame. WHY YOU SHOULD READ IT: I don’t know much about it—or even how it made its way onto this list—but it sounds creative and interesting. Plus, great title. WHO YOU SHOULD GIVE IT TO: Your friend looking for a fresh start. WHAT IT’S ABOUT: An anthology featuring five stories in which the characters all suffer different personal traumas. 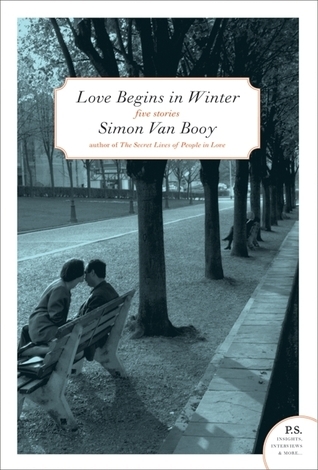 WHY YOU SHOULD READ IT: I know it sounds depressing, but I’ve read some of Van Booy’s other work [Everything Beautiful Began After], and his prose is worth it. WHO YOU SHOULD GIVE IT TO: An older relative that loves reading. WHAT IT’S ABOUT: The glamorous but empty life of an 11 year-old pop star with no father figure to speak of and a hardly capable mother/momager. Sound familiar? WHY YOU SHOULD READ IT: Because the Michiko Kakutani stamp of approval is not easy to come by. A Constellation of Vital PhenomenaAll The Light We Cannot SeeAmy PoehlerAnthony marrabookbook reviewcarol rifka bruntChristina HenriquezEleanor and parkeuphoriagift guidegoodbooksgoodreadslily kingrainbow rowellSeasonal Readingtell the wolves i'm homethe book of unknown americansThe News Sororitywhat should i read nextWinter ReadingYes Please!